Fisher-Price Xylophone Just $12.59! Down From $33! PLUS FREE Shipping! At Amazon, you can score this Fisher-Price Xylophone for just $12.59 down from $32.99 PLUS FREE shipping! 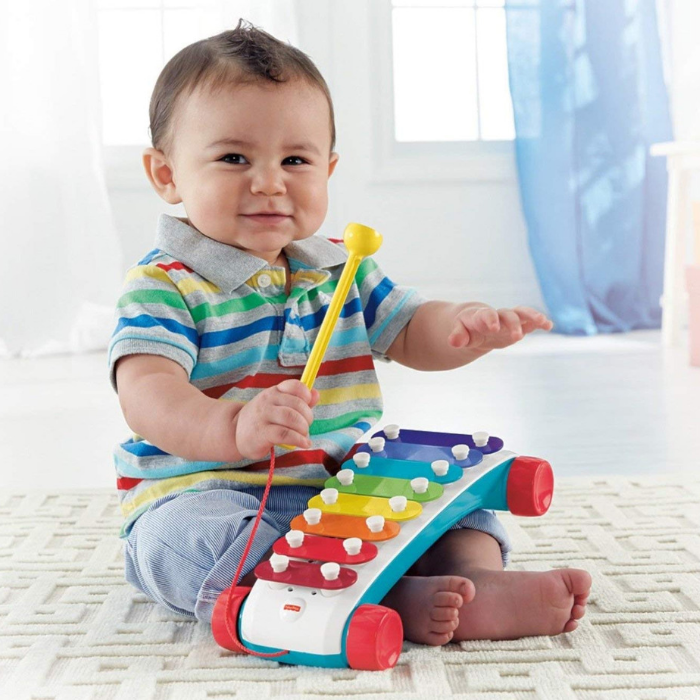 To stay in tune with modern tastes, the Fisher-Price Classic Xylophone pull toy has a sleek new look. But it’s just as much fun for baby as ever! The Classic Xylophone’s 8 colorful keys encourage early music-making creativity, helping young ones develop a sense of accomplishment. And as their musical abilities grow, little ones can follow the colors to create a real song! The mallet’s attached so it never gets lost. And it’s on wheels so kids can take & make music wherever they go! A new look to this classic, baby-favorite musical pull toy! Mallet is attached so it never gets lost! Pull string & easy-rolling wheels let baby pull it along anywhere!